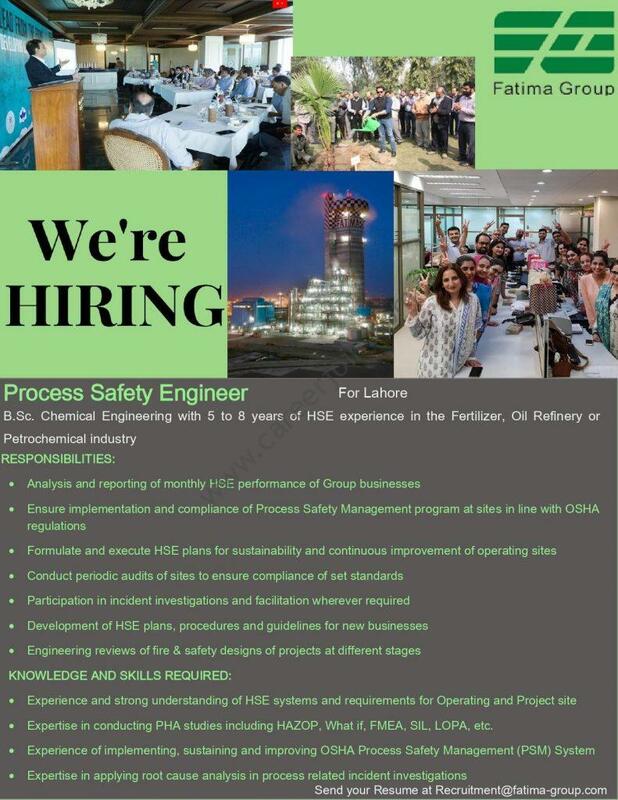 Fatima Group Jobs Process Safety Engineer : Looking for a Process Safety Engineer for Lahore. The ideal candidate should have 5-8 years of HSE experience. Additional details of the position are attached below. Interested candidates should email their resumes to [email protected] with “Process Safety Engineer Lahore” in the subject line, latest by 27th March, 2019.